We survived America’s Thanksgiving Day Parade… and came away with many moments to relish! Special thanks to the Riverside RASCals and Great Skate SC for joining us on wheels. Parents on wheels helped smooth out the rough spots… like wandering wheels and a little road rash. 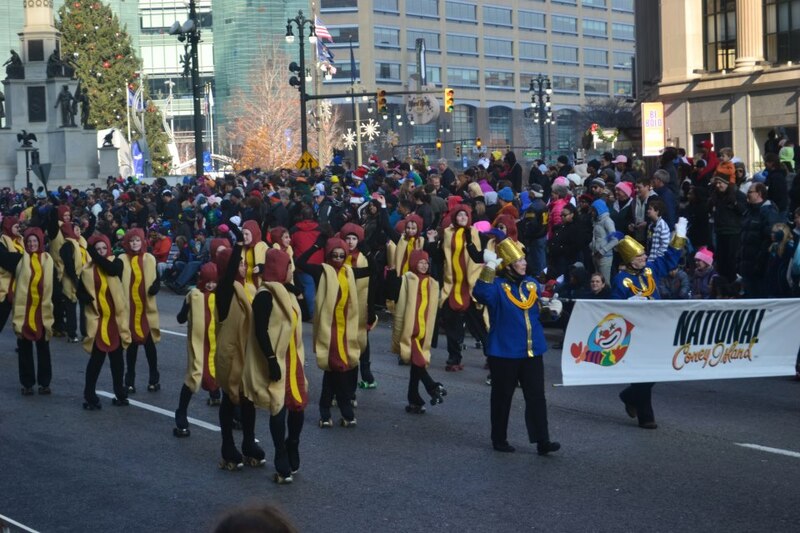 The crowd on Woodward avenue loved dancing with us, and many little spectators loved getting high-fives from the big wieners and a little mustard. Next Post We’re Skatin’ and We Know It!